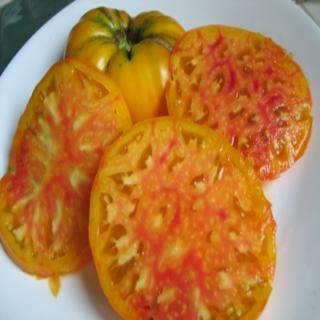 Pearl's Yellow Pink Tomatoes are the best tasting blushing tomato. Yields are high, plants are strong and healthy, and it has intense, sweet fruity flavor that can't be beat. Heirloom Seed Packet. Pearl's Yellow Pink is the best tasting blushing tomato. Yeilds are high, plants are strong and healthy, and it has intense, sweet fruity flavor that can't be beat.